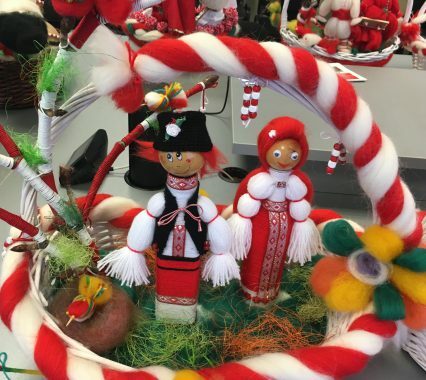 Nearly 400 students from the town of Galabovo took part in the traditional competition of AES Bulgaria for making the most original martenitsa. The original art contest, dedicated to Pizho and Penda, is held for the 11th consecutive year and is a joint initiative of AES Bulgaria and Galabovo Municipality. This year, children from 3rd to 5th grade of all schools in Galabovo Municipality joined the martenitsa competition, as well as the pre-school groups from “Radost” and “Natalia” kindergartens. 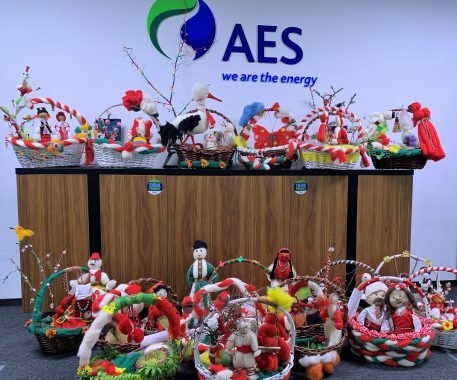 The children made nearly 60-centimeter-long martenitsas with materials, yarn, beads and other decorations traditionally provided by AES Bulgaria. The creativity and fantasy of the children once again amazed the jury, who was really struggling to determine the most beautiful martenitsa. Winner was Winnie the Pooh group at “Natalia” kindergarten. The grand prize, provided by AES Bulgaria for all children of the winning team, will be a day-long excursion to one of the 100 national tourist sites of Bulgaria. And because a party cannot go without a cake, all children received sweets and cake with a themed martenitsa decoration for their creative imagination, diligence and hard work. AES Bulgaria will traditionally present the martenitsas made by the children of Galabovo to President Rumen Radev, Prime Minister Boyko Borisov and other heads of state institutions with best wishes for health, luck and prosperity. About 4000 children have participated in the Baba Marta competition for the past 11 years. 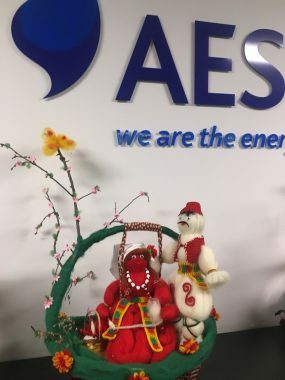 The martenitsa competition is part of the corporate social responsibility program of AES Bulgaria and is aimed at preserving the Bulgarian traditions and customs, and promoting the creative talents of the children of Galabovo. The total investment of AES Bulgaria in various CSR projects for the benefit of the communities where the company operates amounts to nearly BGN 14.5 million.